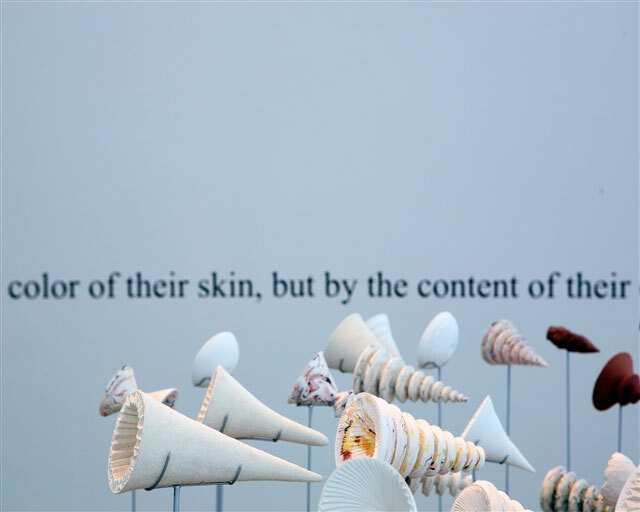 The exhibition, Marc Leuthold, Sculpture, 1995-2010, surveyed the artist’s signature ceramic sculpture produced during the past 15 years. Museum Director Thomas Piché, Jr., curated the exhibition, which was accompanied by an illustrated catalog. For his exhibition at the Daum, Leuthold created “Offering,” a multidimensional environment that transformed the museum’s largest gallery space into “a site of contemplation and wonder,” said Piché. The exhibition ran Feb. 6 through April 25, 2010. More images can be found here. This entry was posted in Exhibition and tagged ceramics, Daum, Marc Leuthold, mid-career retrospective on May 28, 2010 by Marc Leuthold.